Has anyone ever drank a Patagonia beer, wearing Patagonia clothes…in Patagonia? The first time I saw Patagonia beer on shelves a month or so ago, I did a double-take. Had the maker of my favorite quarter-zip Better Sweater jumped into the beer-brewing game? No, the Patagonia beer currently on shelves is an Anheuser-Busch product, and Patagonia—the outdoor-wear brand—worries that other consumers will be as confused as I was. Patagonia has filed a lawsuit in U.S. District Court alleging that the beer infringes on and dilutes its brand. 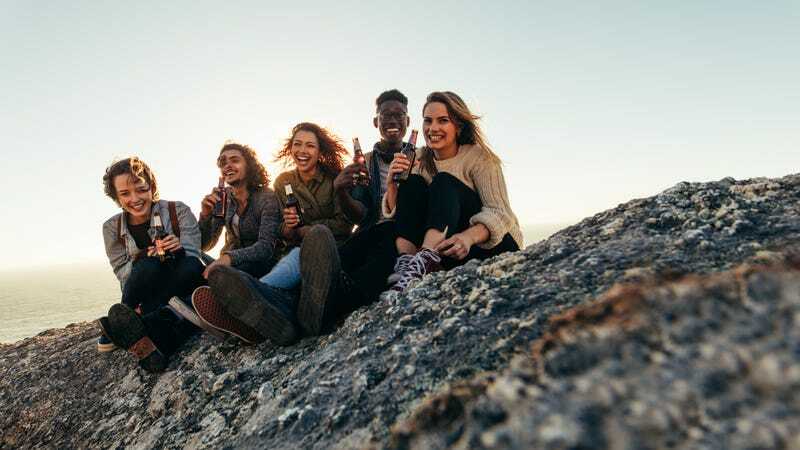 According to the filing, Anheuser-Busch InBev gained a trademark in 2012 for “Patagonia” for use on beer products, but let that trademark sit unused for six years. AB only recently began using “Patagonia Beer Co.” on beer labels and marketing materials for its beer, which features the word Patagonia against a mountain logo. Patagonia outdoor brand also has a mountain silhouette logo, but with different colors. Patagonia states that AB’s marketing and promotion surrounding the beer has focused on environmental causes, of which Patagonia—clothing brand—has been a longtime champion. “AB has tried to connect its beer with environmental conservation by claiming to plant a tree for each case of beer sold, an initiative that Patagonia would welcome but for the fact that AB is clearly attempting to copy Patagonia’s famous brand identity to confuse consumers,” the lawsuit states. Patagonia itself has brewed a Patagonia-branded beer called Long Root since 2016, via its food division, Patagonia Provisions, Inc., launched in 2012. Patagonia and its eccentric founder Yvon Chouinard likely also don’t love that the brewery making this Patagonia beer is global megabeer company Anheuser-Busch InBev. The notoriously corporation-critical founder and his company recently made headlines, saying Patagonia will only create custom branded apparel for companies that it feels shares it value system. In short, no ExxonMobile-and-Patagonia vests, probably—and no AB-brewed Patagonia beer, if this lawsuit succeeds.